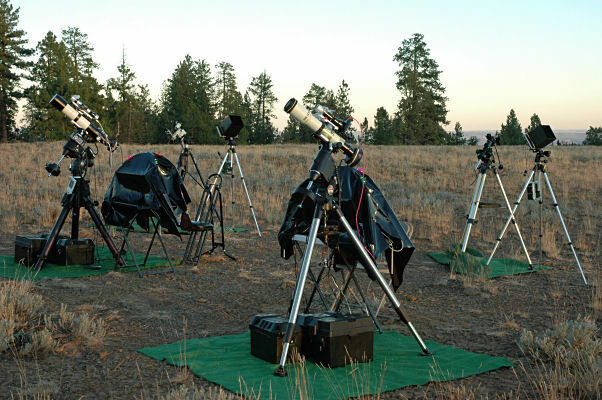 2008 Oregon Star Party (OSP) was another great star party with good imaging every night from Tuesday night to Sunday morning. Wednesday, Thursday and Friday were the best. In summary OSP was terrific and many thanks to the great OSP team that made it happen. I used four cameras at OSP. Two Nikon D70 DSLR cameras were unguided using 20mm, 28mm, 50mm and 85mm lens. The QSI 532 camera was on Tele Vue NP101is 101mm (f/5.4 focal ratio, 540mm focal length, four-element Nagler-Petzval APO. A Tele Vue .8 focal reducer was used. The QSI 532 was on the Orion Telescopes and Binoculars Atlas EQ-G Mount head with GoTo Controller. Atlas EQ-G Mount head was on a Losmandy G-11 tripod. The QSI 520 single shot camera was on a Pentax 75mm SDHF (f/6.7 focal ratio, 500mm focal length, three-element) APO. 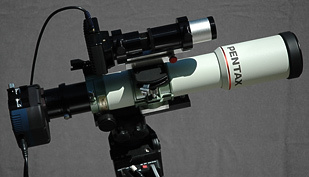 A Optec NextGEN Ultra WideField 0.7XL (NGUW) focal reducer was used with the Pentax. The QSI 520 was on the Orion Telescopes and Binoculars Sirius EQ-G mount with the GoTo hand controller. 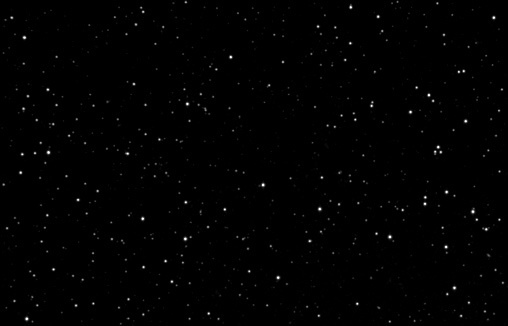 Detial configuration of the QSI 520 CCD Camera on Pentax 75mm SDHF APO Refractor. As in previous OSPs, Mike Hagen and I arrived Tuesday afternoon at OSP. The OSP imaging area was less populated on Tuesday then last year's 2007 OSP. My normal OSP pattern is going to sleep in the car at dawn. Get up around lunch time to eat and if possible I will nap from 3:00 pm to dinner. At 3:59 am in the morning on August 28 the Sky Quality Meter was 21.80. At 10:36 pm the Sky Quality Meter was 21.78. At 3:59 am in the morning on August 29 the Sky Quality Meter was 21.80. Saturday night was very cold with low of 29F and it was windy with clouds. 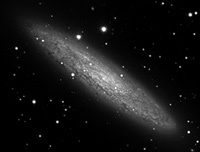 I rejected images because of clouds and wind buffing the mount. As morning dawn started I took 8 minute darks at -30C, -28C, -25C, -23C and -20C until 10:00 AM and then I went to sleep in the Honda. Sunday afternoon I packed up and left OSP. It was a great week of imaging.